SOR continues to expand our line of ARB products, these Old Man Emu suspension kits are available now by popular demand. 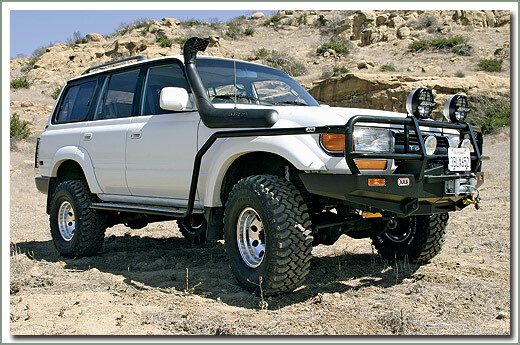 This 80 Series lift kit includes 4 coil springs, 4 Nitrocharger Shocks, and caster bushing kit. This Old Man Emu suspension kit is designed to improve the ride and load capacity of your 80 Series wagon and provide lift of approximately 2 inches.These springs are formed on precision mandrels ensuring spring end configuration design is to exact specifications making a perfect fit to your Land Cruiser. A scragging process is performed before and after the coils are shot peened to reduce stress and prevent sagging. Springs are coated with a durable powder coat finish providing a quality appearance for years. 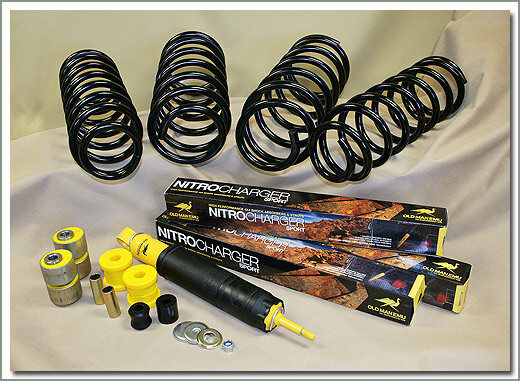 Nitrocharger Shocks are made of a tough twin tube design that included a multi stage compression valve for improved ride, load carrying characteristics, and wheel travel. These shocks are properly valved and engineered to work with OME springs. 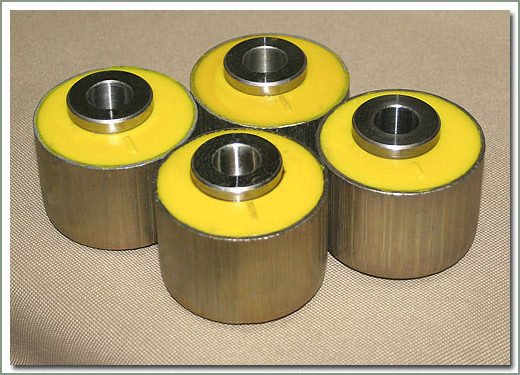 We include offset caster bushing set to provide proper caster alignment. These kits are available for vehicles with or without a front Bull Bar. If you have lifted springs on your 80 series and your vehicle wanders and has erratic steering, you may not have the correct caster bushings installed. Enjoy a comfort ride. Specter offers a caster bushing kit to correct this problem. This kit is designed to be fitted with 2 inch lifted springs.